BP Motor Bodybuilders and Engineers offer full professional work on all vehicles using high quality environmentally friendly techniques. We specialise in rally car restoration but welcome all forms of repair work. Spacious workshops house two state of the art ovens and a self contained paint mixing room features the latest in high tech systems for accurate colour matching. Smart, Suzuki, Mercedes-Benz, Toyota and Mazda. CUI ColorGarant Guarantee covers the quality of paint and workmanship for the lifetime of all vehicle repairs. Remember, it is your legal right to have your car repaired anywhere of your choice. If you contact your insurance company they may try to get the repairs done at the lowest possible price without caring too much about the quality of repair. You do not need to use your insurance company's favoured establishment, so look after your car and not the insurance company's profits! BP Motors is perfect for all car bodywork and vehicle repairs in Cheltenham and car repairs, Cheltenham. Motor car repair is our speciality, in particular classic rally car restoration. We use environmentally friendly solvent free, or low solvent, paints. 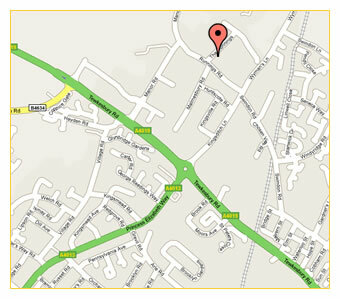 For motor car repair in Cheltenham you can find us at The Runnings, Runnings Road. BP Motors aims to get you back on the road quickly and without hassle. Our accident repair centre is well equipped for crash repair in Cheltenham. Our skills and craftsmanship in car repairs, Cheltenham, can be relied on time and again and we take huge pride in the quality of our motor car repair. We undertake all private work in addition to insurer work and offer insurer fault and non-fault claims. If you are just looking for windscreen replacement in Cheltenham, we can help. Our painless and paintless dent repairs are excellent and we offer all motor car plastic repairs and car body repairs in Cheltenham. We offer courtesy cars (subject to conditions) whilst we undertake your accident repair in Cheltenham or body repairs.